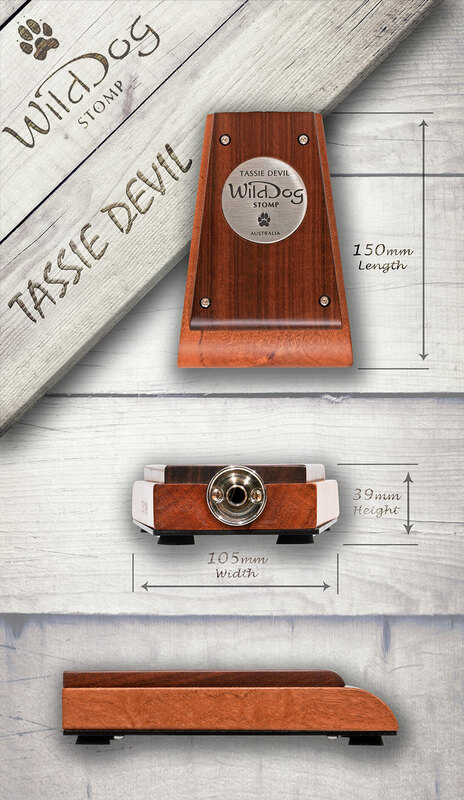 Manufactured from all solid salvaged and rare Australian timbers the Tassie Devil is a work of art. 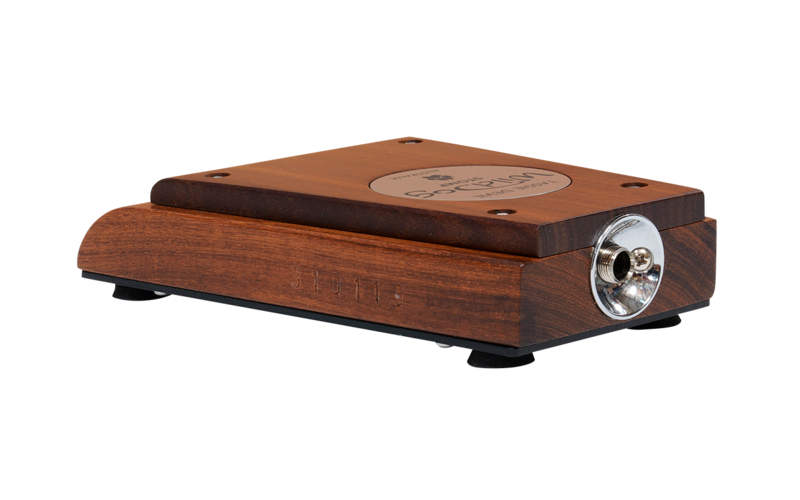 Huge thumping sound and high quality finish, that’s what this little stompy is all about. 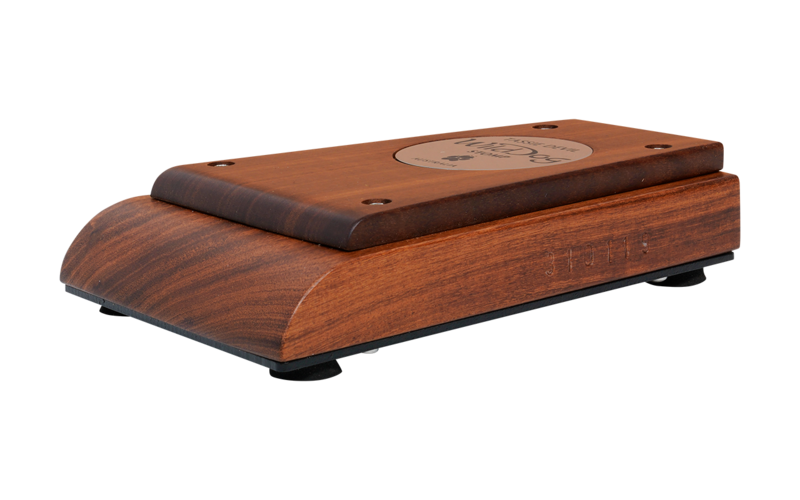 Many small stomp boxes tend to move around during a performance. 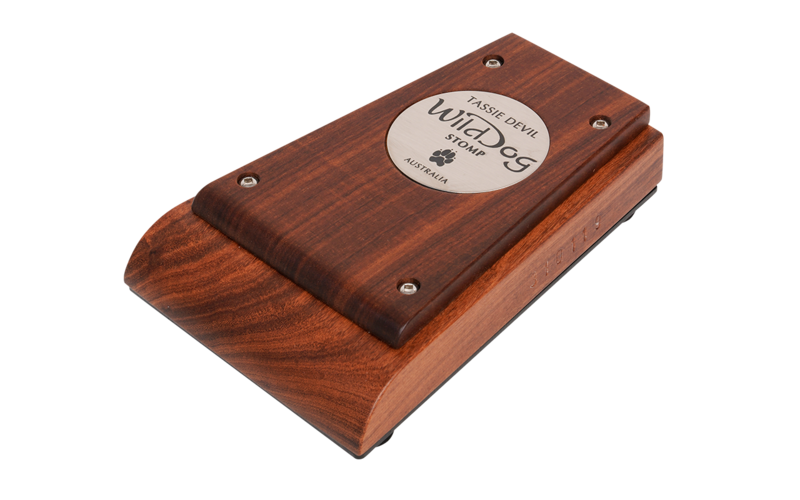 Despite the Tassie Devil petite proportions, it is very stable thanks to its stepped design and special non-slip feet.